How many readers have an image of Peak 8 in their collection? I’m willing to bet that most Breckenridge residents, many Summit County people, and thousands of vacationers own a photo or two of that beautiful and iconic peak that forms a backdrop to the Town of Breckenridge and the Upper Blue River Valley. Painters, photographers and other artists have captured its sublime image for years. Now imagine what Peak 8 will look like with 50-60 platforms and towers for canopy tours, zip lines, challenge courses, and an observation tower. Imagine miles of cable strung between platforms gleaming in the sun like holiday lights strewn across the mountain. Picture the penetrations of the forest canopy for platforms and towers. Visualize the miles of new roads across Peak 8 to service these activities and the 15 miles of downhill mountain biking trails that will be 6’ wide with bermed and banked turns zig-zagging down Peak 8. Is this what you want for your visual experience when you look up at Peak 8? This is what you will get if Vail Resorts and the Breckenridge Ski Area have their way with the proposed new summer activities. There are a myriad of other impacts from the proposed summer activities as well, including 50-60 concrete pads to support those platforms and towers, disturbance to the ground and wildlife habitat, significant opportunities for introduction of noxious weeds on our public lands…the list goes on. 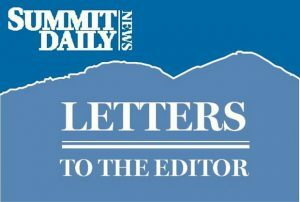 It is not too late to voice your concerns about the proposed summer activities at the Breckenridge Ski Area. It is more important to make a comment now during the scoping period than when the draft EIS comes out. By then it will be almost too late. Please don’t let this opportunity pass by to file a comment about the use of your public lands. Email your comments to sgrail@fs.fed.us and be sure to put “BSR summer use proposal” in the subject line.